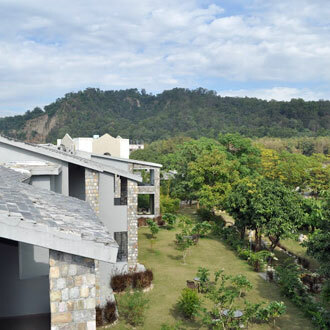 Located by the side of tranquil and serene Kosi River and less than two kms from the Corbett Museum, Aranya Safari Resort surrounded by nature's wilderness offers ultimate stay for the nature lovers. All the 30 air-conditioned rooms in this resort are plush and equipped with ultramodern amenities. The joy of munching your favorite continental, Indian and Chinese cuisine at 'Machan' or enjoying the nature at its best at 'Grill House', an open air restaurant, Aranya Safari Resort treats your taste-buds.